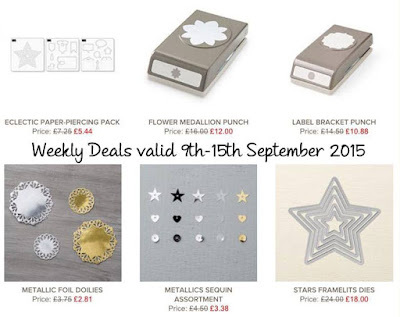 Just a quick post from me today to highlight just how fabulous the weekly deals are this week. 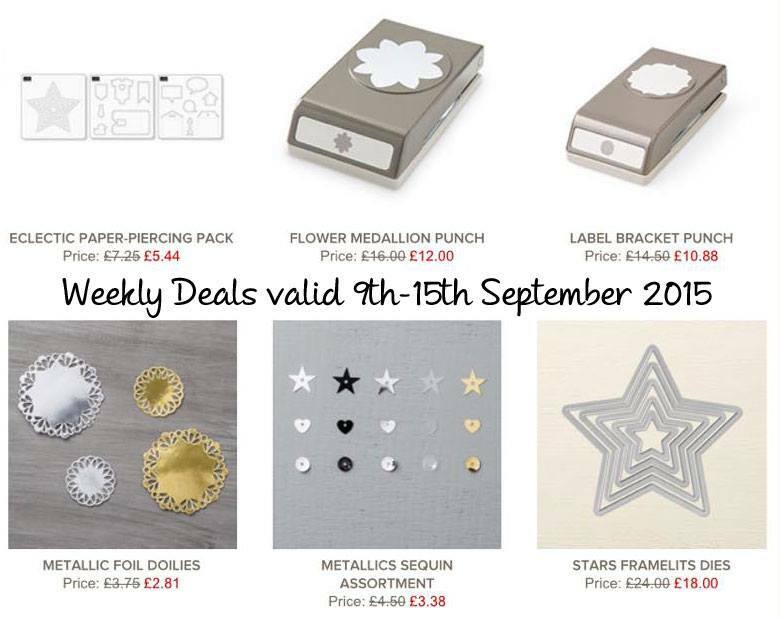 Valid until next Tuesday, the fantastic Flower Medallion Punch is now only £12! What an absolute bargain. I love this punch and if you don't already have it, I recommend you pick it up quickly while it is on offer. 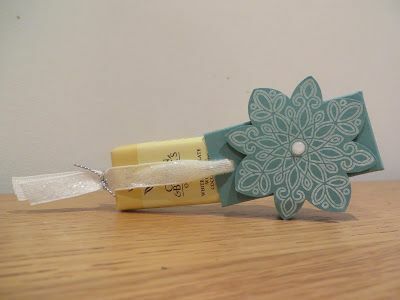 The Label Bracket Punch is one that I don't actually own but I will be ordering it while it is on offer. The Star Framelits are also very useful, especially as we head into the Christmas Season.